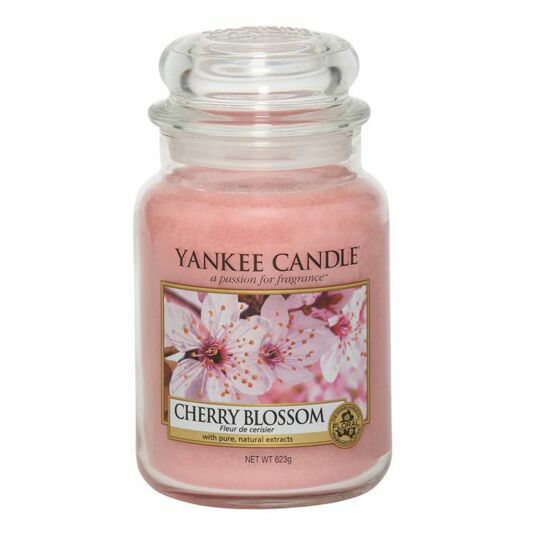 Welcome in the New Year by refreshing your home with this range of calming and fresh scents and this Cherry Blossom Large Jar from Yankee Candle, part of the Pure Essence range of fragrances. An enchanting armful of spring’s freshest blooms that turns any room pink and happy. Top notes of Cherry mingle with middle notes of Rose, Cherry Blossom and Jasmine, finishing with base notes of Powdery Musk and Sandalwood. This large classic jar candle has a burn time between 110-150 hours and reflects a warm and comforting sense of style that’s always at home, be it in the bedroom, the bathroom, the living room, or anywhere else you see fit. A fabulous gift for a friend or a treat for yourself.